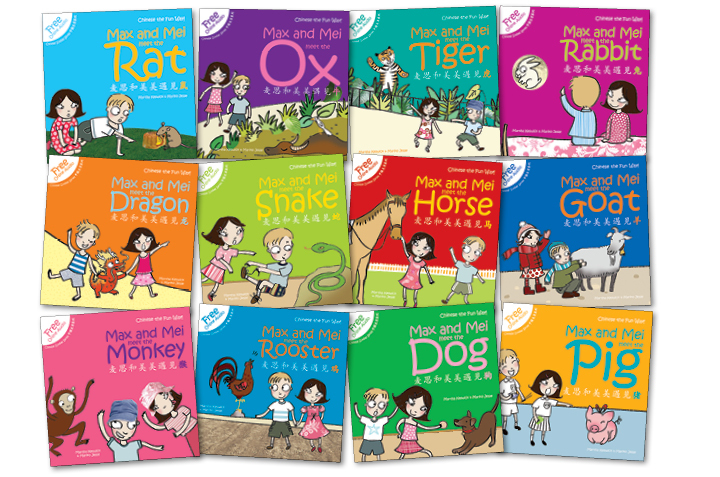 Children learning Mandarin Chinese will love the bilingual world of Max and Mei. Designed for children aged 2-7 years, this best-selling children’s series has thirteen storybooks, audio accompaniment, game cards and activity books. Max and Mei go to Indonesia! Max and Mei’s new Online Home!